Callaway offers the most comprehensive aftermarket warranty in the industry. Overlapping the factory GM warranty, Callaway covers all Callaway components and GM components that are affected by Callaway components. GM dealers do not block factory warranty on Callaway CTS-V’s; they perform maintenance and warranty repairs with support from Callaway Cars. You can purchase a Callaway CTS-V from Authorized Callaway Dealer inventory or from a new build order. If there is no Authorized Callaway Dealer near you, Callaway staff can work with your local Cadillac dealer to facilitate your purchase and arrange delivery. 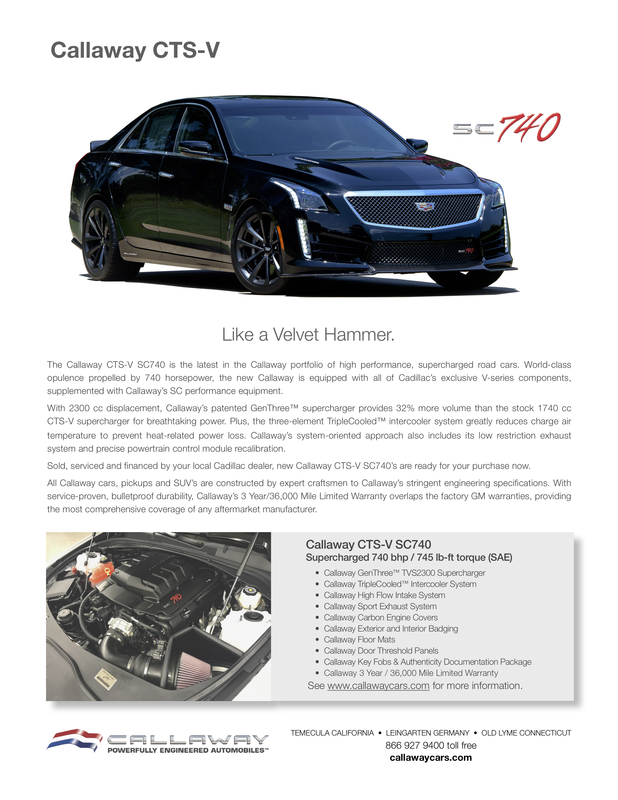 Your CTS-V will be built at General Motors’ Lansing, Michigan factory, then drop-shipped by Cadillac to either our Connecticut or California plant for final assembly. 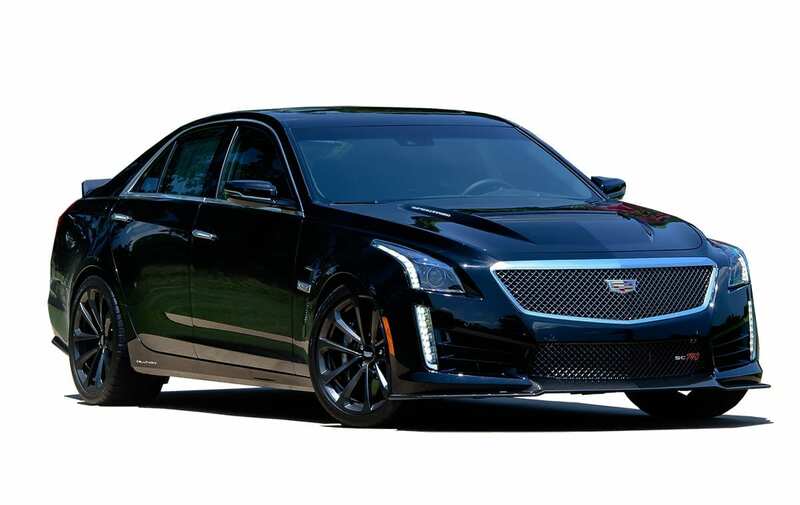 At completion of the build, you may choose delivery at your Cadillac dealer or at either Callaway facility.